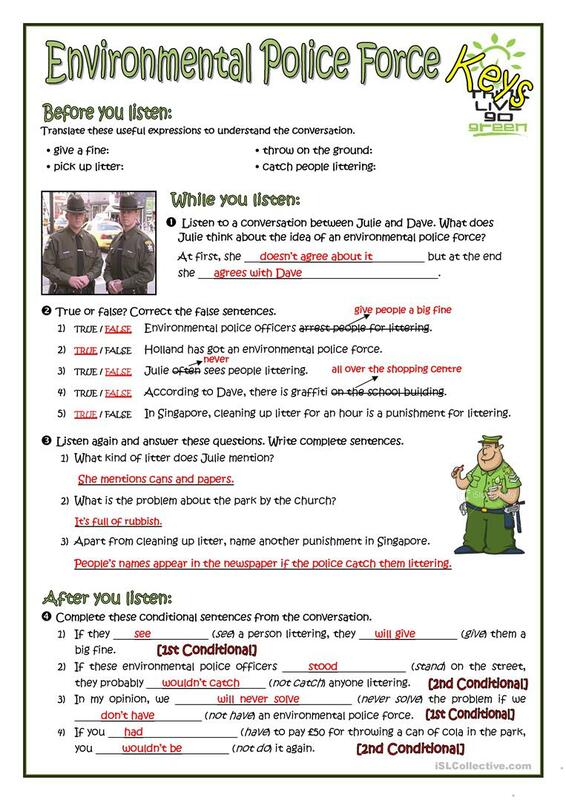 This worksheet practices the first and second conditionals sentences, and how to give opinions about enviroment problems. Script, key and audio file link provided. The present downloadable worksheet is intended for high school students and adults at Pre-intermediate (A2) level. 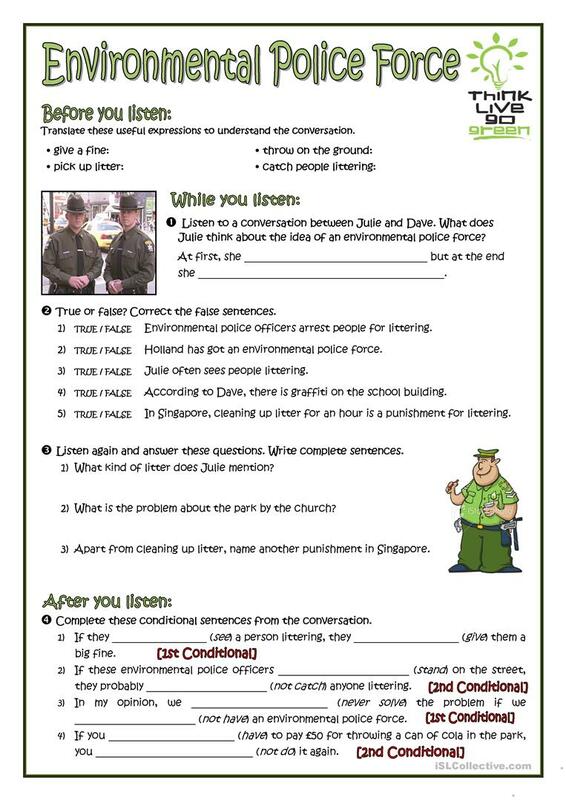 It is aimed at consolidating Conditionals in English, and can be used for honing your class' Listening skills. 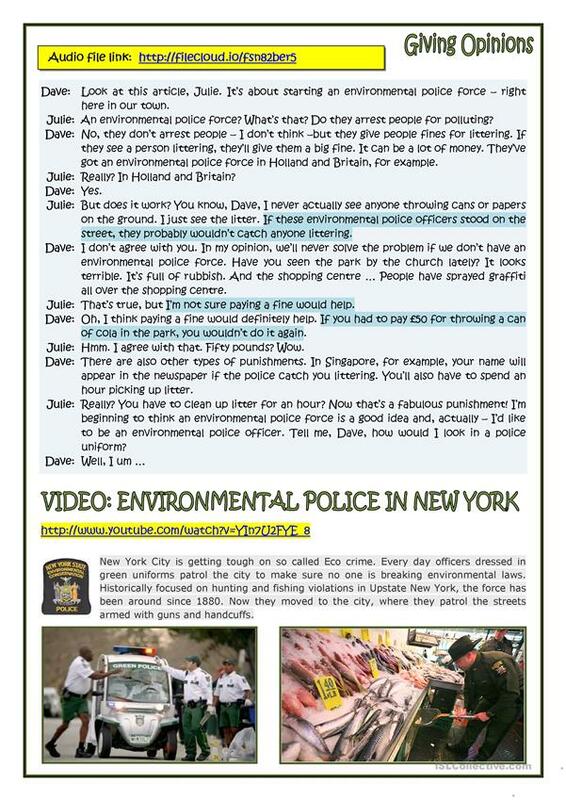 It centers around the topic and words of Environment. There is an answer key provided with the exercises.